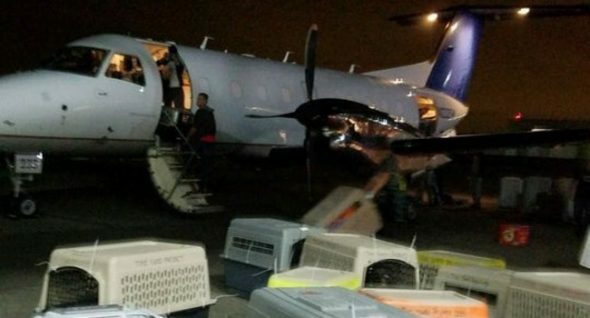 Wings of Rescue flew the animals to New Jersey from crowded shelters in Puerto Rico. The plane will return for more, and bring supplies for residents, as well. In the wake of Hurricane Maria’s devastating toll on Puerto Rico, animal rescuers are doing what they can to help the island’s many dog and cat refugees, in some cases literal litters of puppies and kittens, find safety and eventually, forever homes. The first of what will likely be waves of animal refugees arrived in New Jersey yesterday morning, resting at St. Hubert’s Animal Welfare Center after receiving medical treatment. St. Hubert’s gets help from many volunteers: people from other shelters, veterinarians and HSUS staff. They have been working hard lately, trying to save animals displaced as a result of Hurricanes Harvey and Irma. The animals from Puerto Rico were already in shelters, Parker said. Many of them had arrived there as refugees, as well, sent from other islands following Hurricane Irma. It’s an important distinction, she notes. Each animal has to be assessed before it can be adopted or sent to another shelter. 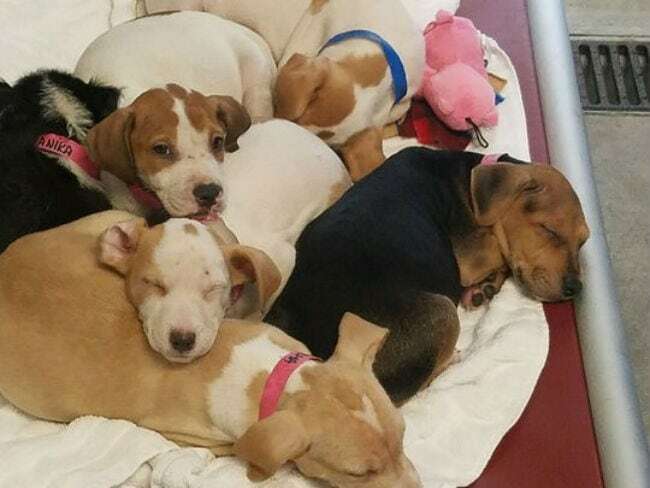 The animals are being distributed out to various shelters including Brandywine Valley SPCA in West Chester, Pennsylvania, and the Dakin Animal Shelter in Springfield, Massachusetts. Volunteers from both shelters have been helping out at St. Hubert’s. 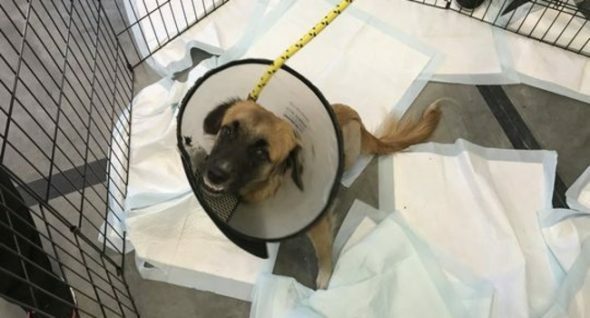 Once the animals from the first flight are removed from St. Hubert’s, more volunteers with clean and decontaminate the facilities there in time for the next rescue flight from Puerto Rico, which was scheduled for Saturday night. More rescue flights are expected to arrive next week. The Wings of Rescue transport plane is doing double-duty. Each time the plane is emptied of pets, it gets loaded up with donations for the people of Puerto Rico: diapers, feminine products and other essentials gravely needed by the island’s residents. Once there, it fills up with pets and does the trip all over again. “People have overwhelmed us with their kindness,” Parker said of the donations, which were still coming in as of yesterday.